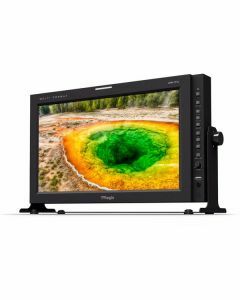 The new LVM-171S is our top QC-Grade 17" model with a 16.5 inch IPS LCD panel with 1920x1080 native resolution, wide-gamut reproduction (up to DCI-P3), enhanced contrast ratio and wide viewing angle all. unmatched by other LCD monitors. A completely redesigned video processing unit provides powerful dual -channel performance and artifact-free image reproduction.